Sneinton Community Organisers Get Creative! A Creative Tree that will travel the world now has a contribution from Sneinton! 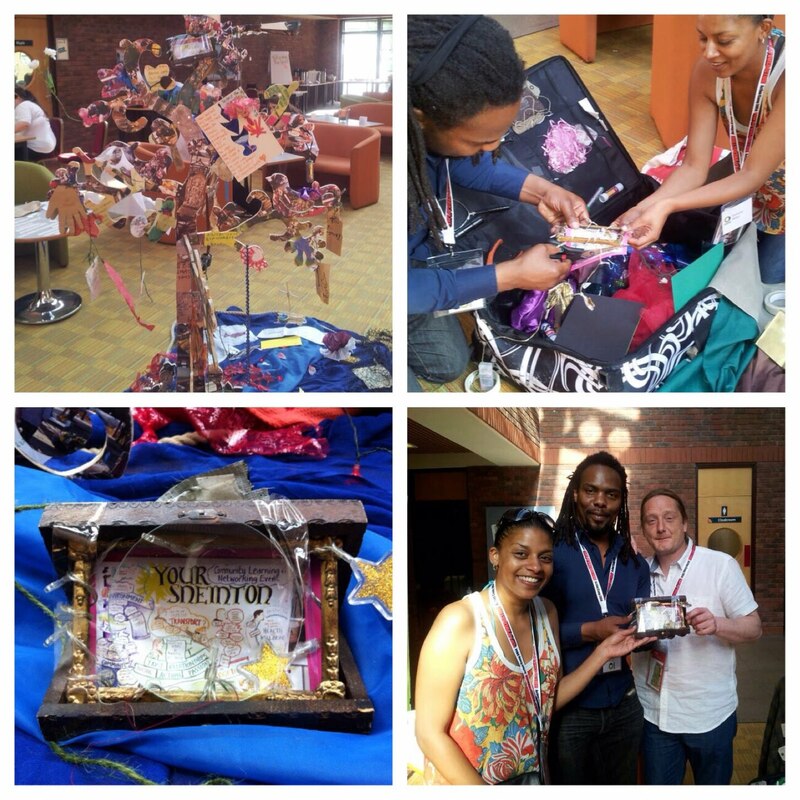 Sneinton Community Organisers spot a suitcase full of art materials and a very creative looking tree at Community Organisers Action Camp organised by Locality, and decide to contribute to the tree by creating a beautiful piece of Art work that celebrates Your Sneinton Event. (We brought loads of newsletters with us). Simone Miller - Senior CO in Sneinton later found out that the Creative Tree has been been travelling around the world, starting from Japan and from Action Camp Staffordshire then moving to Rome for people all over the world to add more to the tree. Both Steve's and Simone were delighted to find out that people around the world will get to see our creation that celebrates Sneinton!